In the Chhattisgarh assembly polls, there are two phases of voting. In the first phase, voting will be held in 18 constituencies in the southern part of the state. On a closer look, 18 out of 12 seats are located in Naxal-affected Bastar division and six are located in Rajnandgaon district. As many as 192 candidates are in the fray in the first phase of the state assembly elections. The first phase of the assembly elections assumes plenty of significance as both the arch-rival parties, BJP and Congress, are going all out to woo the people for votes while engaging in a political mudslinging amongst each other. Let us now chronicle the journey as to why the first phase of Chhattisgarh assembly elections is so special. In the previous assembly elections held in 2013, the BJP, although retained power in the state, it, however, lost its mark in the Bastar division and the Congress gained the upper hand in the region. Out of a total of 12 seats, the Congress grabbed eight seats while the BJP mustered only four seats in its account. 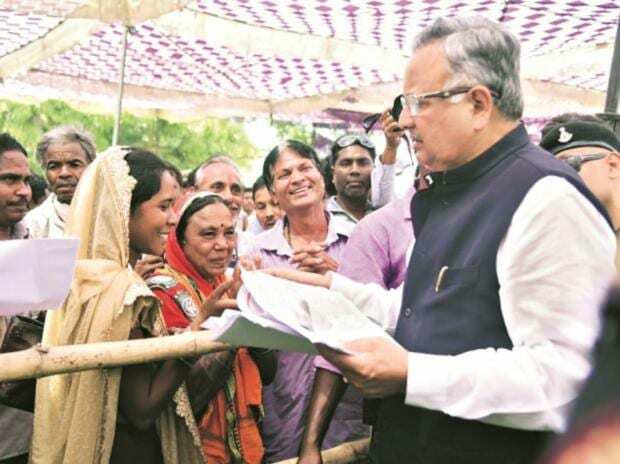 In the past five years, the Raman Singh-led government has stated that it has undertaken plenty of development work in Bastar. In fact, there are many assembly constituencies in Bastar division, where tickets have been given to the old faces of the party. The same situation also persists in Rajanandgaon district. The BJP has decided to field new faces in the region, which has six constituencies. But the most anticipated electoral battle will be witnessed in Rajnandgaon seat where incumbent state chief minister Raman Singh is pitted against former prime minister Atal Bihari Vajpayee's niece Karuna Shukla, who was also a part of the BJP for over 30 years, before switching to Congress in 2014. While Singh has won thrice from Rajnandgaon, it is to be seen whether the three-time chief minister will continue his winning spree or whether Shukla will play party pooper, if she emerges victorious. The BJP government has claimed to take strict steps in tackling Naxalism. However, local residents of Bastar are still struggling with the decades-long problem. This factor could harm BJP's prospects in winning a record fourth term in the assembly polls. There is a saying in Chhattisgarhi language that if a niece or nephew wins, celebrations will happen in the same house. In Dantewada seat of Bastar division, seven candidates from different parties are not only from the same family but are each other's relatives, who will be contesting against each other in the first phase of the assembly polls. BJP candidate Bhima Mandavi is the brother-in-law of Congress candidate Devti Karma. Also, Communist Party of India (CPI) candidate Nandaram Sori and Devti share a brother-sister relationship. Devti also shares an interesting connection, as she is the aunt of Aam Aadmi Party (AAP) candidate Ballu Bhawani. Independent candidate Jaya Kashyap is Devti's niece. Lastly, Bahujan Samaj Party (BSP) candidate Keshav Netam and Sundaru Kunjam share a nephew-uncle relationship with Bhawani. Amid constant threats by Naxalites to boycott polls, there is an atmosphere of fear in Bastar Division. For instance, in Konta seat, many candidates have refrained from filing their nomination forms. In 2008 assembly elections, only four candidates were in the fray. In this year's and 2013 polls, six candidates each will contest from this seat. In Chitrakoot, where the number of candidates was 22 in 2013 polls, the number has fallen down to just 10 in this year's assembly elections. In Jagdalpur seat, where 38 candidates had tried their luck in the previous elections, this time only 26 of them are in the fray. Other constituencies such as Kanker, Kesh Kal, Bastar and Narayanpur will also see less participation of candidates in the upcoming polls. The Antagarh seat is a bright spot in the Naxal-affected Bastar division, where the number of candidates has seen an increase. In the 2008 assembly elections, only six candidates were in the fray and the number increased to eight in 2013. Now, 15 candidates will try their luck in this year's assembly elections.